According to the Alaska Department of Public Safety, Alaska’s wildlife troopers enforce state law and conservation efforts in wilderness areas and participate in search and rescue. Since the Division of Alaska Wildlife Troopers is a sub-division of the Alaska State Troopers, they are required to meet the same eligibility requirements and complete the same training as state troopers. Even as an extremely demanding profession, becoming a wildlife trooper also involves completing a very competitive selection and hiring process. 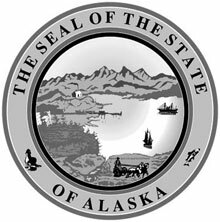 This means all prospective wildlife troopers are required to serve for at least one year as a state trooper before being accepted into the Division of Alaska Wildlife Troopers. Even if you are hired directly as a wildlife trooper, you must still complete one year of employment as a state trooper. If a wildlife trooper is your preference, it is important to note that on your application. You must hold a high school diploma or GED. You must be at least 21 years old at the time of the Academy. You must have no history of discharge or resignation as a police officer in the State of Alaska or any other U.S. state or territory. You must have no history of being denied basic police certification or having your certification revoked in Alaska. You must have no history of being disqualified (in the last 12 months) for a state trooper recruit position due to a background investigation. You must have not used marijuana in the past 12 months. You must have not received any more than three Fish and Wildlife Enforcement citations within the last 3 years. You must have no history of illegally manufacturing, transporting, purchasing, distributing, or selling drugs while employed in law enforcement or as a peace officer. You must have not history of illegally manufacturing, distributing, or selling a controlled substance, unless you were under the age of 21 at the time and the act happened more than 10 years ago. You are not currently on court-ordered probation. You were never convicted of a felony (with the exception of a juvenile adjudication). You must have no misdemeanor convictions related to having caused somebody injury in the last 10 years. You were never convicted of a domestic violence crime. You were not convicted of anything more than one DIU in the last 10 years. You were not convicted of a crime of moral turpitude in the last 10 years. You were not convicted or more than two misdemeanors within the last 10 years, unless you were under the age of 21 and the last offense happened at least 3 years ago. You do not have a history of felony as an adult (21 years and older) within the past five years. You haven’t been charged with or convicted of a criminal offense (with the exception of violations) within 1 year of applying. You have no more than two convictions within 10 years of applying, unless you were 21 years old or younger at the time and it was more than 5 years of application. You must have no pending charges and cannot be under a criminal investigation. You have no misdemeanor convictions within the last 5 years. You must not have been on probation within the last 3 years. You must have no more than 2 moving violations within the past year. You must not have a history of your driver’s license being revoked or suspended within the last year. Wildlife Investigations Unit: The work of troopers in the Wildlife Investigations Unit focuses on large-scale commercial wildlife and fishery crimes in Alaska. You can apply to be on the Wildlife Investigations Unit after completing one year as a state trooper. Wildlife troopers accepted for this assignment are trained in surveillance and specialize in covert operations. Aircraft Section: Troopers in this section transport troops for fish and wildlife patrol and investigation, search and rescue operations, and wildlife patrol and investigation. You can apply to become a DPS pilot after completing one year as a state trooper, when and if there is a need. DPS sends those who meet the selection process to flight school. Marine Section: Wildlife troopers may conduct patrols of major vessels that can last up to 45 days. Troopers in the Marine Section spend about 200+ days on the sea every year. You can apply to work in the Marine Section after completing one year as state trooper. DPS sends those who meet the selection process to the FLETC Boat Operations Course in Georgia. There are several steps in the hiring process. Expect the hiring process to take up to 10 months to complete. The first step to becoming a wildlife trooper requires registering to take the written test with Public Safety Testing. You must be able to pass the Law Enforcement Officer Exam BEFORE you apply with Workplace Alaska. You must score at least 70 percent on the exam. The physical agility test will immediately follow the written exam. Expect both exams to take between 6 and 7 hours to complete. After registering for the written exam, you will receive the study materials (sent electronically) that you’ll need to study for the exam. Visit Public Safety Testing to view upcoming test dates and register for the exam. Most exams are administered either in Fairbanks or Anchorage. After you have applied for employment, you will be required to provide additional documents to the Anchorage Recruitment Unit, such as your high school transcripts, letters of recommendation, birth certificate, etc. You will receive instructions for submitting these documents after you completed the online application. Push-ups – You must be able to complete at least 25 push-ups. Sit-ups – You must be able to complete at least 27 sit-ups in one minute. 5 mile run – You must be able to complete the run in 15:12 or less. The last phase of the employment process is the interview phase. If you are invited to sit for an interview, you will need to travel to Anchorage. The testing/interview process generally requires a 10-12-day trip to Anchorage.